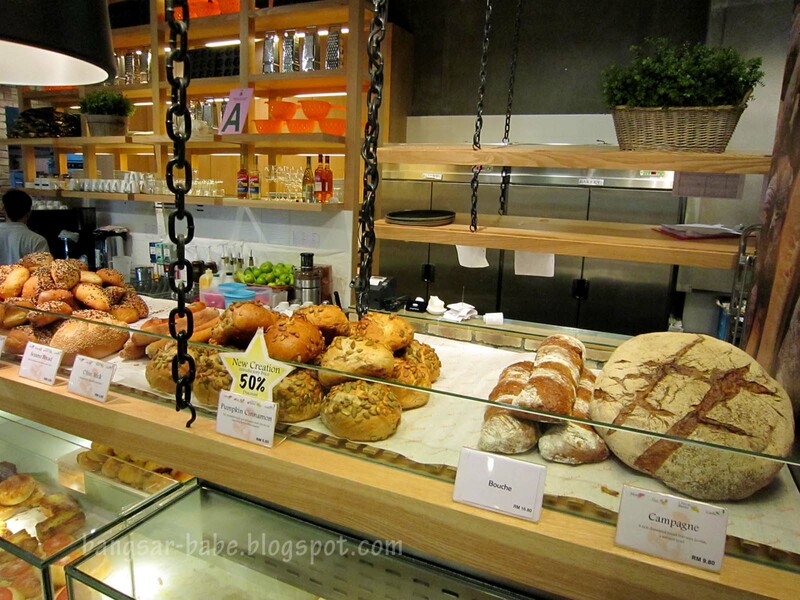 The Loaf has been operating in Bangsar Village II since mid November last year, and this Japanese-style bakery and bistro has somewhat taken half of the clientele from a famous cafe/restaurant next door. 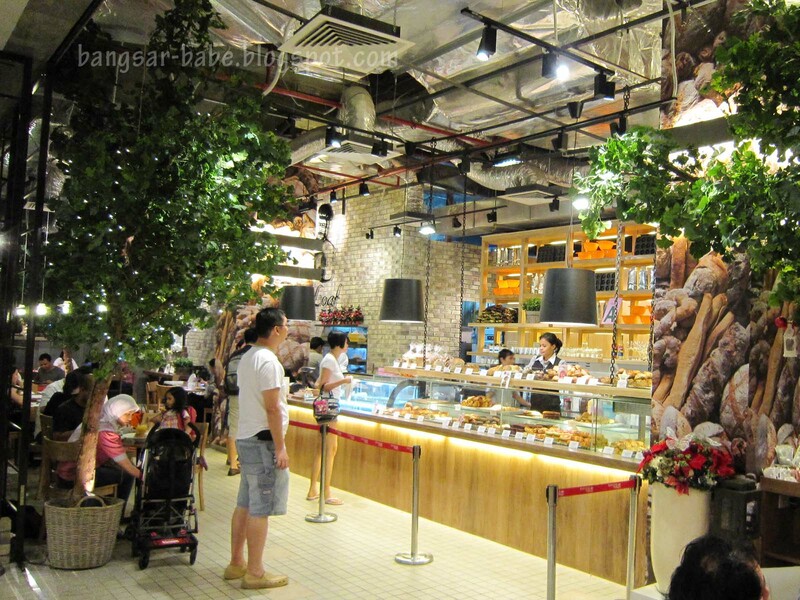 I’ve walked past this cafe many times and noticed the crowd streaming in for its breads, pastries and light meals. 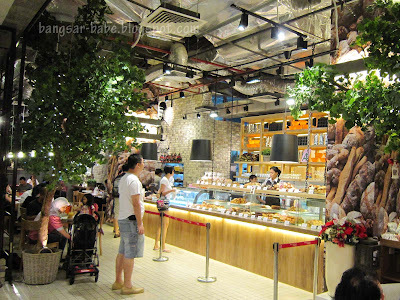 Over the long weekend, rif and I were in Bangsar Village II shopping and running some errands. 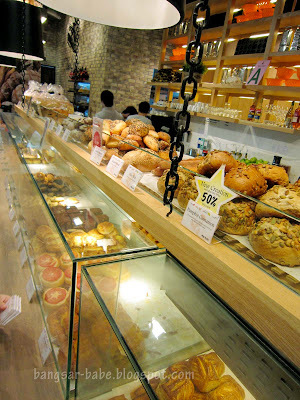 Come 4pm, I suggested coffee from Starbucks but he wanted to try The Loaf. 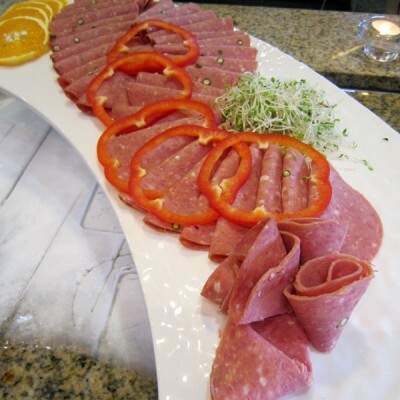 It has been on his to-eat-list ever since the place was under renovation. I relented. Something I cannot tolerate apart from bad food is lousy service. The service at The Loaf was abysmal – my mood was immediately ruined by this. Cube -60°C (RM10) was rif’s order, and it comprised iced coffee cubes in hot milk. This was pleasant to drink – not overly bitter and the milk was adequately creamy. 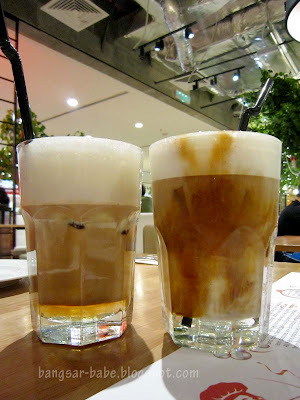 My iced cappuccino (RM9) was horrible. It had a burnt bitter flavour and a sour aftertaste. I didn’t finish this. 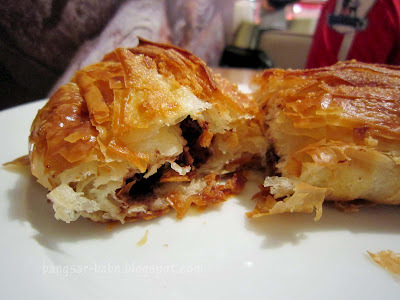 Magazine (RM5.20) is a chocolate-filled croissant with layers. The pastry was flaky and nicely glazed, but it could have done with more chocolate filling. For RM5.20, this tiny pastry was nothing to shout about. 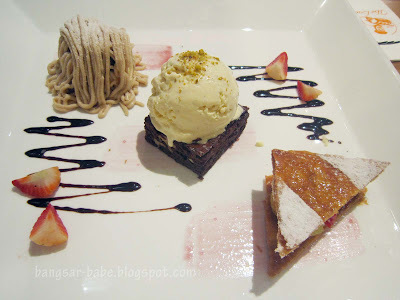 We shared a dessert platter of three cakes — Cake Mont Blanc (RM9), Delicacy Fold (RM8) and Brownie with Ice Cream (RM9). The more desserts you order, the cheaper the platter becomes. When I asked for a recommendation, the waiter told suggested the brownie saying it was “nice and moist”. His definition of moist was as dry as a Sahara desert. The ice cream wasn’t tasty or creamy enough to mask the unpleasant dryness in the brownie. 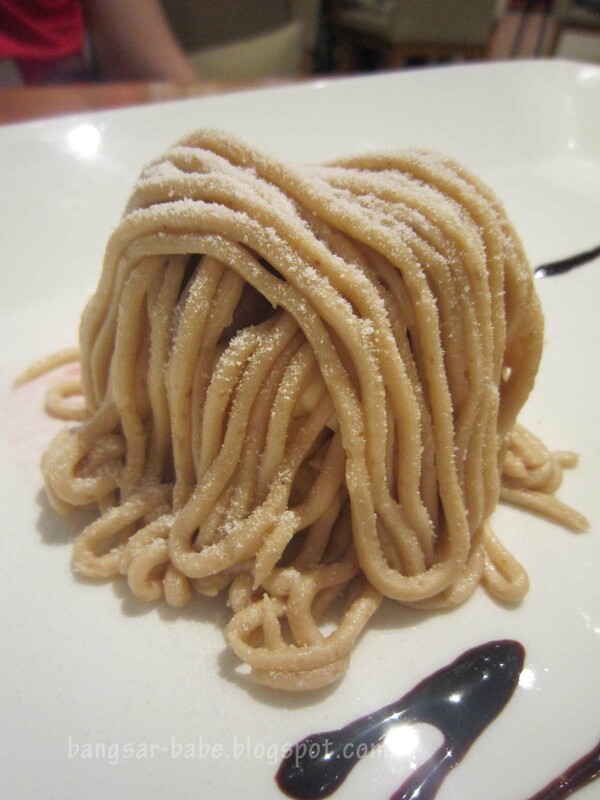 The description of the Cake Mont Blanc read “luxurious blend of pureed chestnut, cream and flaky meringue”. I really didn’t like this. The pureed chestnut didn’t go with the cream, and the whole combination tasted weirdly plastic. 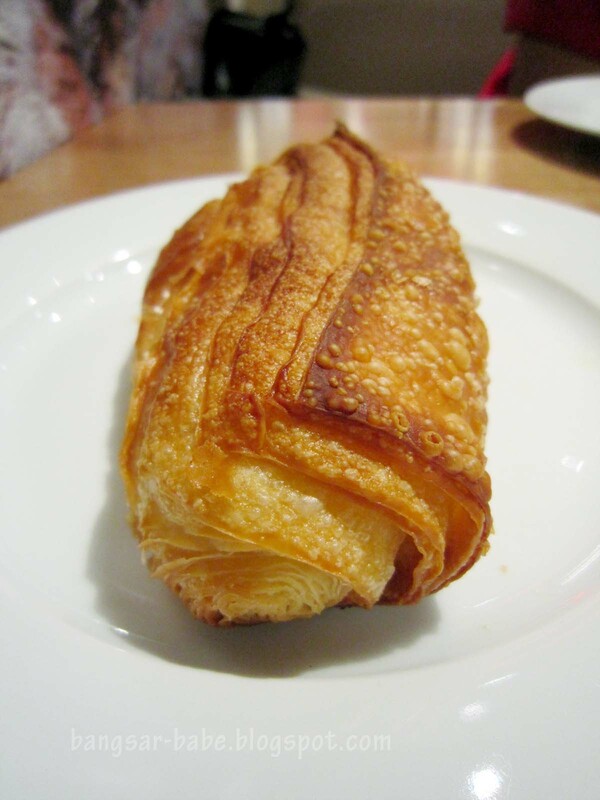 Delicacy Fold was better than the former two. 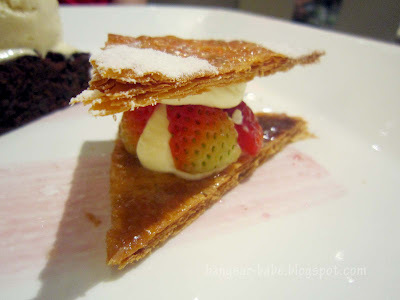 This French inspired dessert comprised strawberries and cream sandwiched between two light layered pastries, and topped with a dusting of snow powder. It was simpler compared to the Mont Blanc, but much tastier. I wasn’t pleased with the food and the half-hearted service was a real turn-off. For the above, we were slapped with a RM56.72 bill. Curiosity killed the cat — in our case, it killed our appetite. Verdict: Overpriced yet not-so-great-tasting items. 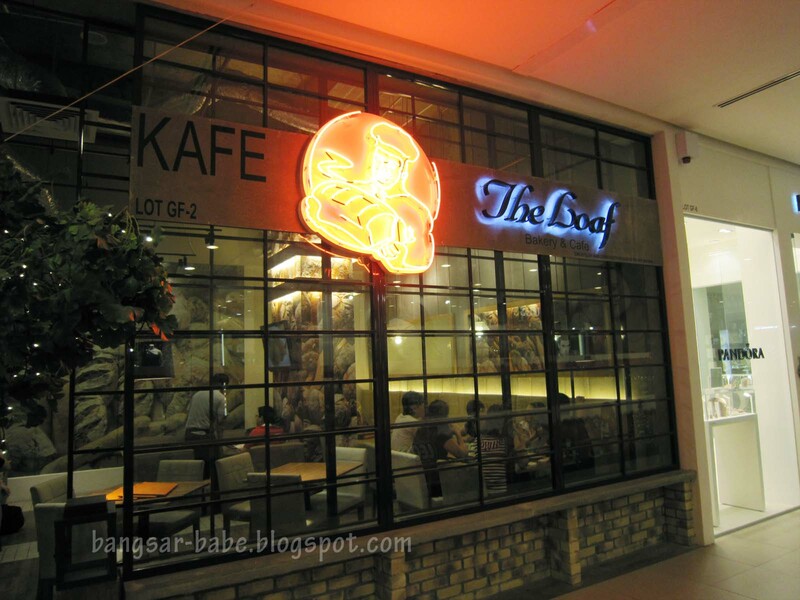 yes i L-O-V-E the loaf!! and good thing about this place is- they are more generous with their seatings compare to pavillion! What a pity. I reckon it will still be a popular place to go to despite the poor service. I've only been to the Loaf to buy pastries (those on sale) but never dined there before. Don't really understand the huge crowd (Pavilion outlet) though! I guess The Loaf's food is more expensive than other cafes because of their overheads. 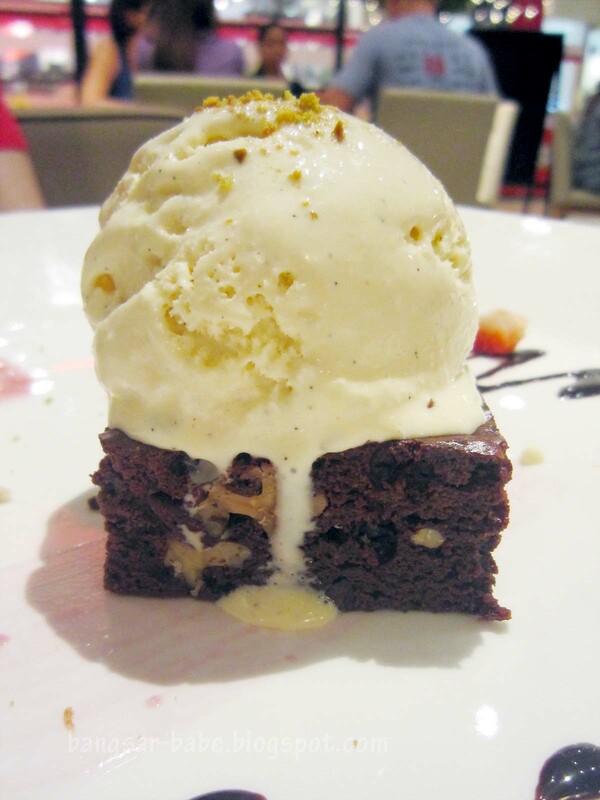 The brownie, however, is better without the ice-cream. I've tried it before. mmmmm, strange sour after taste cappuccino, maybe from the milk used. iamthewitch – I thought the sale is only for members? LL – I'm sure. It's been doing well since the opening.